Sony is planning to unveil a new version of PlayStation 4 that will be powerful enough to handle high-end game experiences including virtual reality, say sources. Sony’s move signals a radical change to the typical six-to-seven-year cycle of game console releases; the PlayStation 4 debuted in 2013. At the same time, Sony plans to continue production of the existing PlayStation 4, which has sold more than 36 million units globally. Sources say the two versions will likely share the same software catalog. 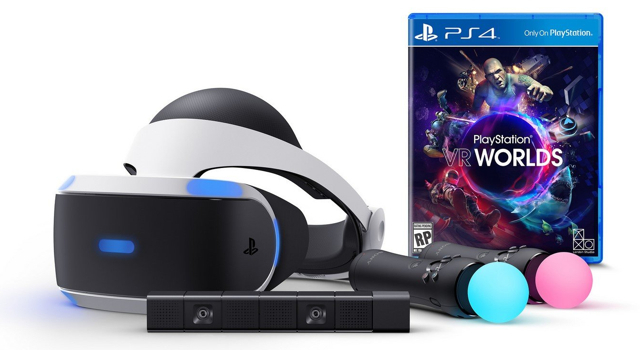 The Wall Street Journal reports that the new console, which will be able to handle “ultra high-definition-resolution graphics,” will be announced before the release of the PlayStation VR headset in October. Although a Sony Computer spokesperson declined to comment, website Kotaku previously broke news of the upgraded PlayStation. Typically, new videogame consoles are released every six to seven years; PlayStation 3 was launched in 2006 and PlayStation 2 in 2000, similar to console releases from Microsoft and Nintendo. Macquarie Securities analyst Damian Thong reports he “expects PlayStation 4 software to be usable with future-generation consoles,” a backwards-compatibility also at odds with past releases. “It would clearly signal the end of the traditional console generation cycle,” he said. In the VR space, Gartner estimates that “about 1.4 million virtual- and augmented-reality headsets will be sold worldwide this year and nearly 40 million headsets by 2020.” Sony is “expected to be a leader in the VR market this year despite delaying its PlayStation VR system,” says IHS analyst Piers Harding-Rolls. Sony’s VR headset is priced at $399, compared to the Oculus Rift at $599 and HTC Vive at $799. According to Macquarie, Sony will sell eight million PlayStation VR headsets in the first two years, but “it will take years before the hardware device itself becomes a considerable profit contributor.” Instead software sales will drive most of the VR profits.